4DX hall is a place where movie fiction literally becomes the reality. 4DX is a breakthrough technology, first of a kind in the world, for the screening of the biggest Hollywood movie productions in 4D format. 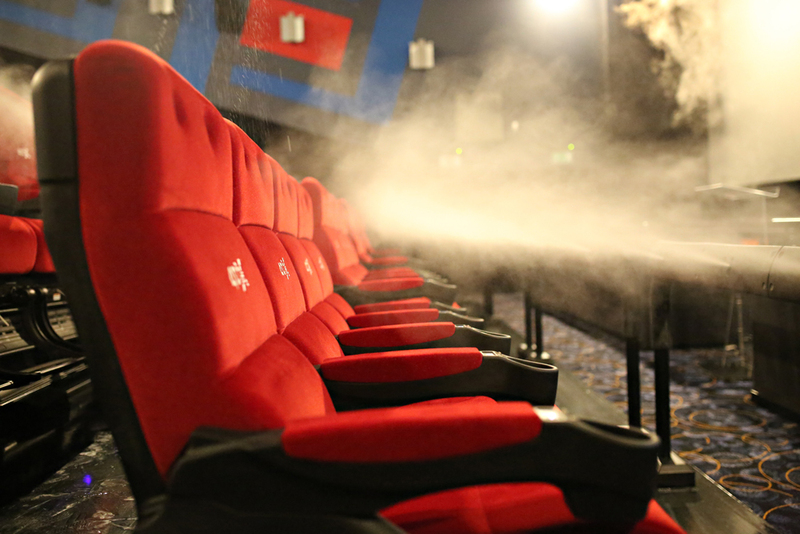 Movable chairs and state-of-the-art environmental solutions will provide viewers with an ultimate cinema experience which is filled with special effects and where they become the part of the motion picture. The new 4DX hall in Iulius Mall Cluj is the fifth opened in Romania. 4DX is now the focus of international attention as one of the most innovative and impressive cinematic formats, with over 480 such halls in 57 countries. Starting on march 16th you can watch „Tomb Raider” with Lara Croft, the fiercely independent daughter of a missing adventurer, must push herself beyond her limits when she finds herself on the island where her father disappeared. The 4DX effects have been carefully selected to perfectly fit the variety of the movie scenes. Thanks to these, every spectator will become Lara Croft – an archaeologist and explorer, among ancient tombs and ruins.